In this week in review around the web, read about how to pester Amex to properly credit your points, the change that might alleviate tax on referrals next year, using Maps to save your destinations, and more. Read on for this weekend’s recap. Citi’s move to 5x at restaurants has kind of put Amex’s problems with restaurant bonuses out of sight and out of mind. This post from Middle Age Miles is a good reminder that Amex is still failing to award 4x consistently on US Restaurant spend and it provides a simple road map to getting it resolved. I’m glad to see that Amex does seem to be making an effort to fix this and at least award the points upon request. Chatting probably saves time over a phone call and it looks to be effective. 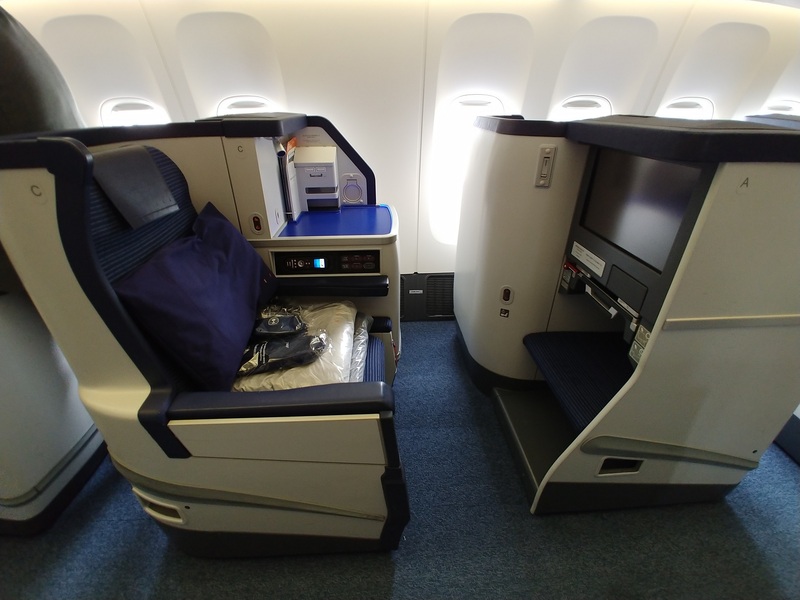 This post from Your Mileage May Vary explores what happens when you’ve been collecting points and miles long enough that flying in premium cabins is nice but not novel. Do you take that business class itinerary that involves an extra stop or fly direct in economy class for 6 hours? Is premium economy “good enough”? Traveling with a baby, we’ve been debating whether we’re better off with 3 premium economy seats or 2 business class seats and having our son as a lap infant — and one of the considerations is definitely the difference in terms of points. And while I do generate a good deal of points, I’m also spending more time thinking about how I want to use them — and once the allure of flat beds and champagne fades a bit, I find myself considering how much that experience is actually worth to me from all angles, including convenience. Did Citi Add Spending Requirements On Referrals To Avoid Them Being Taxable? This whole 1099-for-referrals mess has gotten extra messy, with reports of errors in some and oddities in others. This short post from Doctor of Credit is really interesting though. As I can’t imagine the banks enjoy the overhead cost of this process any more than anyone is enjoying the surprise of a 1099, I suppose we’ll know whether or not this is true soon enough. I can’t imagine the other banks will be far behind. I know that our own Stephen Pepper has had to make heavy use of trip planning tools due to his 5-year, 50-state road trip — and so I was not at all surprised when I saw he was the first to comment on this post from Travel is Free about using Google Maps to save destinations. As someone who brings MS on the road with me pretty often, I need to start using Google Maps more effectively to mark places to which I’d like to return and those that aren’t as friendly. I’m sure it’s great for actual trips as well :-). I am slowly learning the many ins and outs of Disney World, one of which is this latest possible tip from As the Joe flies about rider switch. If you’re traveling to Disney with kids, you’ll want to check this one out to see what’s new. Google Maps seems like a great option — although I paused a bit after reading the comments associated with that post — namely, that Google Maps apparently starts deleting your pinned locations with no warning once you reach a particular limit. Several people reported having experienced that. If anyone has any more insight about that – and in particular how to avoid it – please share! It looks like you can create a custom google maps map for this purpose to skirt around the limits as it’s per map. Make sure to round-up any tips to $0.51 you’ll earn and extra 4 MR (small I know) but one more way to maximum every spend. FYI, the article “Have we outgrown business class” links to the wrong page.